The Delta Force 30 series race mufflers utilize Flowmaster’s patented Delta Flow technology and are designed for race applications needing to meet the most stringent decibel level requirements at the track. 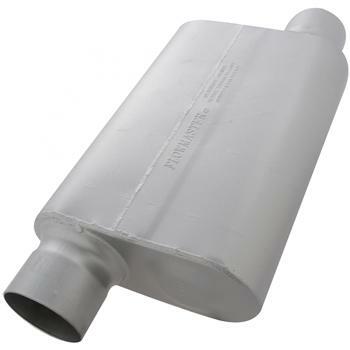 These mufflers have excellent power characteristics with maximum sound reduction qualities. Please call the Flowmaster tech-line for assistance with specific dB requirements and applications.